Public art is often meant to be controversial, and it often succeeds. 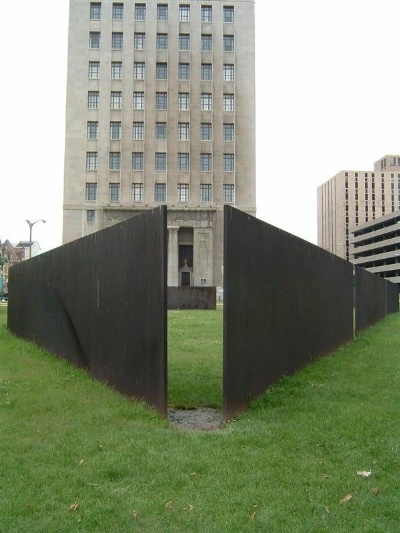 My hometown, St. Louis, has never gotten over the Serra Sculpture (officially known as “Twain”), seven 40-foot long steel panels that are supposed to give you new views of St. Louis as you peer through the gaps between the panels. Over the years, more than one would-be critic has rendered a late-night review with an issue of urine streamed artfully along the side. The city fathers of Cardiff by the Sea, Calif., however, weren’t looking for controversy when they commissioned “Magic Carpet Ride,” a tribute to surfing that has managed to outrage surfers of all stripes. The sculptor, Matthew Antichevich, has no saltwater in his veins, surfers say. (Antichevich is in fact a surfer.) In retaliation, they’ve dressed the sculpture as a clown and even erected a shark’s mouth poised to swallowed the surfer. 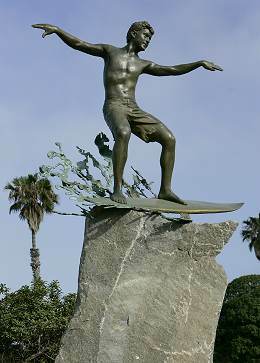 Surfers mock the sculpted surfer’s form, and they’re insulted that he isn’t more heroic. The city maintains the sculpture was trying to capture the joy and awkwardness of learning to surf, not the form of a world-class surfer. Apparently, that was a mistake. Early on, it could have formed a citizens advisory panel to discuss in advance what was expected from the piece. This panel could also have selected a winning design from an artists’ competition. It could have opened the selection to an online citywide vote. Offer the designs of three or four finalists, and let residents select the one they want. Many serious artists wouldn’t stoop to such a level, of course, but this wasn’t high-end, conceptual art. I think many good artists would have jumped at the chance to compete for the opportunity to make this sculpture for Cardiff, just as many performers line up to be on American Idol each year. There are so many tools available today to build consensus and to make people feel included in decisions like this, such as online voting and blogs with interactive comments. It seems foolhardy not to take advantage of them. What do you think? Meantime, the controversy hasn’t really harmed the town. Next time I’m driving between Los Angeles and San Diego, I’m sure I’ll pull off the road just to see what all the fuss is about. While I’m there, I’ll have a meal and a drink or two, and I imagine there’ll be lots of gawkers just like me.